Tube of choice - I'm using the awesome work of Arthur Crowe. You must have a license to use his work. Xero Radience. If you don't have this plugin you can get it here. Make a gradient with 2 colors from your tube. Floodfill your canvas with the gradient. Once you have the tubes in position merge them all together. Change the blend mode to screen and lower the opacity to 24. Now you can move it about until your happy with how it looks. Activate your text tool. Font GAMECUBEN - size 36 - type out NCIS 3 times. *Edit - Copy - Copy Merged. Edit - Paste - Paste as New Image. Back to your main canvas. Copy and paste your tube - I resized 80% -Duplicate. Press the Small delete key on your keyboard or use your eraser tool to get rid of the excess white. New Raster Layer - Floodfill with you Gradient. Press the small delete key again. 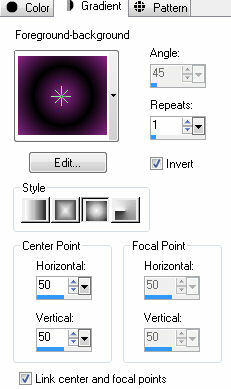 Effects - Xero - Radiance - Same settings as before. Copy and paste the canvas we made earlier, as a new layer. Move about until you have something you like showing. Copy and paste your tube as a new layer - position and duplicate. On the duplicate - Adjust - Blur - Gaussian Blur 3. Adjust - Add/Remove Noise - Add Noise same as before. Here's the same tag in different colors.